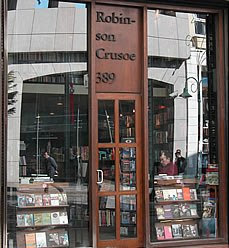 Jan said: "Robinson Crusoe stocks a good range of English language titles alongside its Turkish stock. It's a good place for fiction, philosophy, biography and art and design. It's also really easy to find: look for the stylish wood and glass facade, on the left as you are walking down the Istiklal from Taksim Square (a leisurely twenty-minute walk from Taksim Square, past Galatasaray High School), or on the right if you are walking up the Istiklal from Tunel and Asmalimescit." Robinson Crusoe has been selling English-language books for almost fiftteen years and has always had an up-to-date and relevant collection of fiction and non-fiction items. It has one of the best selections of Turkish writing and Turkish literature translated into English. The shop's interior resembles a literary bricolage set in an old-world library, with dozens and dozens of dark-wood shelves climbing from the very ground along the walls all the way up to the ceiling, and assiduous shop assistants balancing on ladders trying to reach the dusty tomes at the top. When not performing acrobatic feats, the staff there are more than helpful and will order any books that are not in stock. Existing since 1994, Robinson Crusoe Kitabevi (bookshop) stocks a decent selection of everything from fiction and philosophy to current affairs and history reads, as well as a rather good range of travel books and magazines and newspapers in English and French. 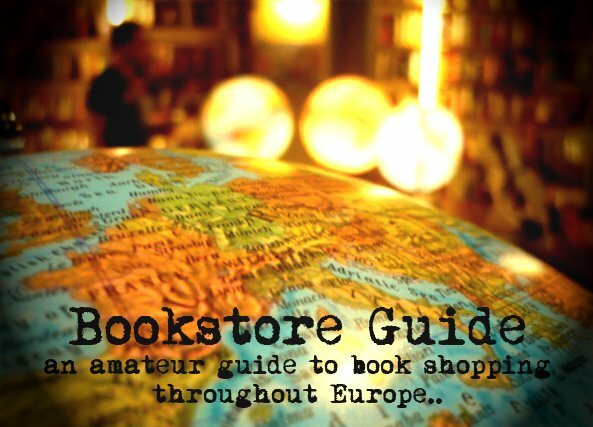 The bookstore also stocks books in Turkish. thank you so much for this post. i used to frequent this store when i lived in Istanbul for one month, and even found a job for a Turkish friend of mine while i was there. cheers! Possibly my favourite shop in Istanbul! It has a wide selection of fiction ordered by author covering humour, mystery, science fiction etc., plus lots of non-fiction books, travel guides, reference books, and English translations of Turkish authors.